If you’re a Dodger fan under the age of 70, which would seemingly cover a lot of you, how much do you really mind that the Dodgers didn’t win the 1951 pennant? I haven’t asked myself this question before now, and I’m sure many Dodger fans would quickly say they mind the “Shot ‘Heard Round the World” very, very much. It’s a lost pennant and a potential lost World Series title — one that would have been the Dodgers’ first. And it came at the hands of the Giants, which for most Dodger fans is the worst possible opponent. Who knows what incredible levels of joy would have come from a 1951 World Series victory by the Dodgers, let alone whether it might possibly have flipped the Yankees’ dominance that decade sideways? Still, I think there’s a strong argument that the 1951 collapse really adds more to the lure and lore of the Dodgers than it subtracts. 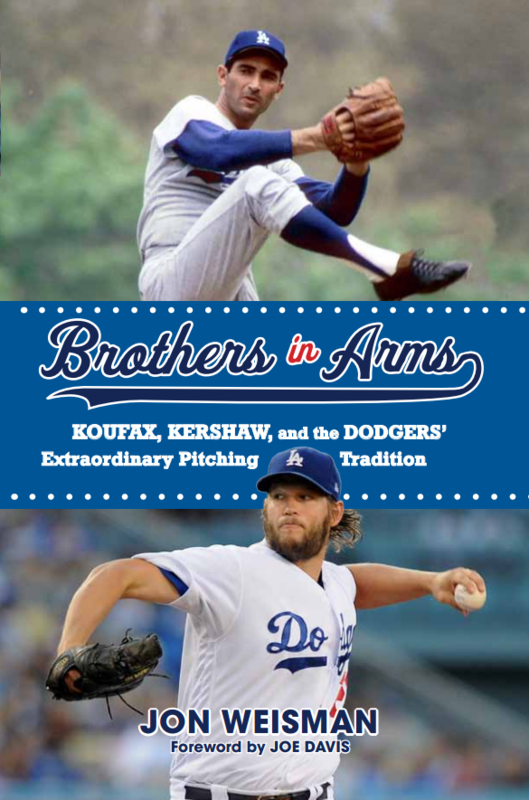 It is an enormous part of baseball history, and even though the Dodgers were on the wrong side, it actually works in favor of the importance of the franchise in the fabric of the sport. 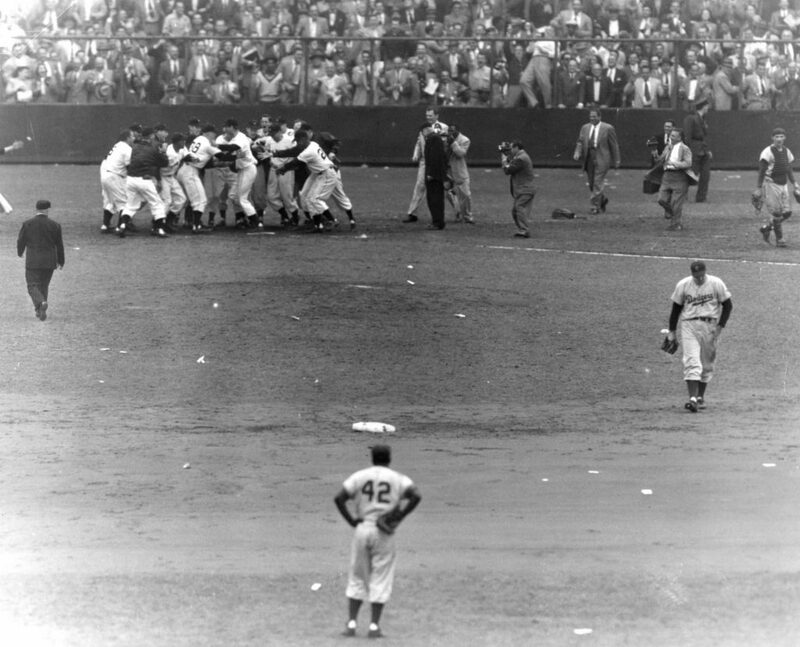 Losing in so painfully in ’51 deepens the emotional tug of the Boys of Summer, and it makes the Dodgers’ at-long-last 1955 triumph that much sweeter. Also, the idea of the Dodgers winning the 1951 pennant but then adding yet another World Series loss to the Yankees just sounds too boring for words. For me to answer the question that started this, it comes down to two people: Ralph Branca and Don Newcombe. Branca, who gave up the Bobby Thomson pennant-winning homer, needs little explaining here, but if I could change any single event in the history of baseball games, high on the list would be to give Newcombe the postseason glory he was so coldly denied. To someone who came of age after the ’50s, the real shame in the Dodgers’ 1951 demise for me isn’t that the Dodgers lost, but that Branca was excessively tarnished and Newcombe inadequately venerated. The regal Newcombe’s stature today for Dodger fans is unassailable, but in the 1950s … well, just imagine having a worse October reputation among the knee-jerk set than Clayton Kershaw. For anyone who actually remembers 1951 first-hand, this doesn’t apply. But as many times as I’ve watched the highlights of “The Shot,” I’m more in awe of the moment than crushed by it. And yet, I feel for Branca and Newcombe, and feel for how they never got October redemption.